Lower Clapton Road - Kenninghall Road Roundabout - Upper Clapton Road - Southwold Road - Theydon Road - Leaside Road - Warwick Grove - Upper Clapton Road - Cazenove Road - Stamford Hill - Northwold Road - Stoke Newington Common - Rectory Road - Brooke Road - Stoke Newington High Street - Stoke Newington Church Street - Green Lanes - Highbury New Park - Highbury Grove - St Paul's Road - Highbury Corner - Holloway Road - Camden Road - Caledonian Road - North Road - York Way - Camden Park Road - Torriano Avenue - Leighton Road - Kentish Town Road - Prince Of Wales Road - Haverstock Hill - Chalk Farm Road - Morrisons Access Road. 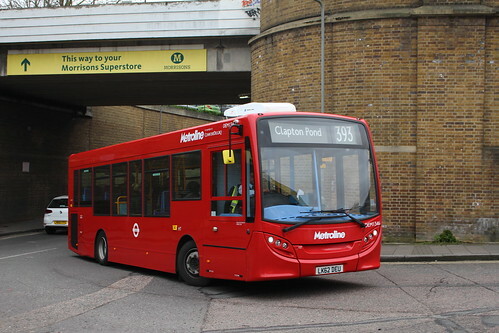 Morrisons Access Road - Chalk Farm Road - Haverstock Hill, Prince Of Wales Road - Castlehaven Road - Castle Road - Kentish Town Road - Leighton Road - Brecknock Road - York Way - North Road - Hillmarton Road - Parkhurst Road - Holloway Road - Highbury Corner - St Paul's Road - Highbury Grove - Highbury New Park, Green Lanes - Stoke Newington Church Street - Stoke Newington High Street - Stamford Hill - Cazenove Road - Upper Clapton Road - Warwick Grove - Leaside Road - Theydon Road, Southwold Road - Upper Clapton Road - Lower Clapton Road. 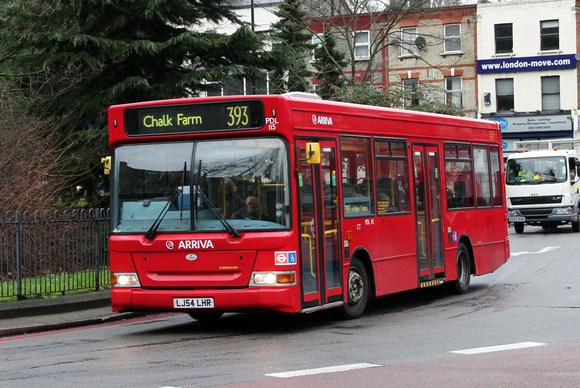 Extended from Holloway to Chalk Farm and start of new contract with Arriva operating from Clapton (CT) bus buses outsationed at Ash Grove.